Just got this one in the mail a couple days ago. For $0.48 from The Dugout Cards I got this pretty unique looking insert from Allen and Ginter's. 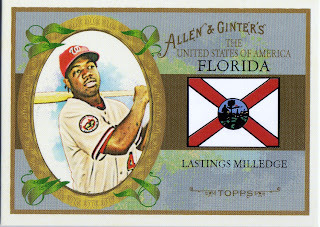 The front features an inset portrait of Lastings, which is an exact replica of his base card from the years A&G set, and the Florida flag, which is his home state. The card is about two and half times thicker than a regular A&G card. 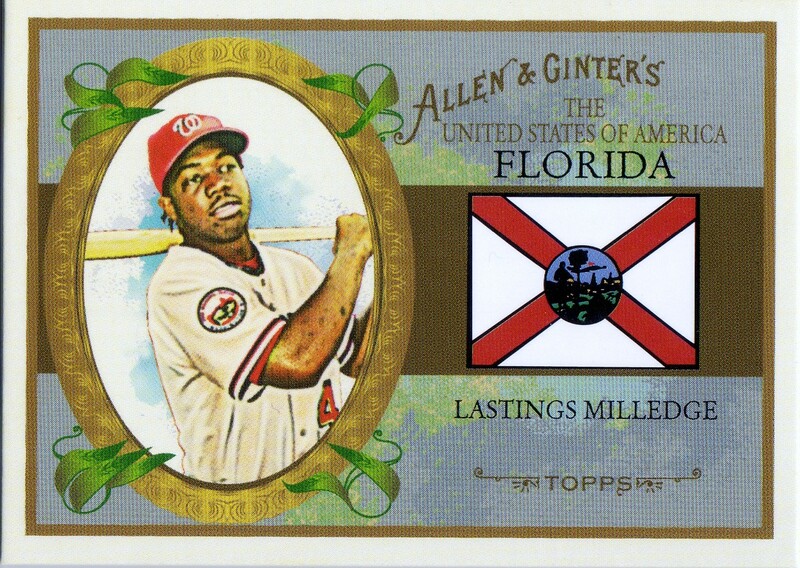 On the back the bio features the story of Lastings leading his team to the Little League World Series in 1997 followed later by a high school state title. I like this card and the particular design very much. Thoughts?